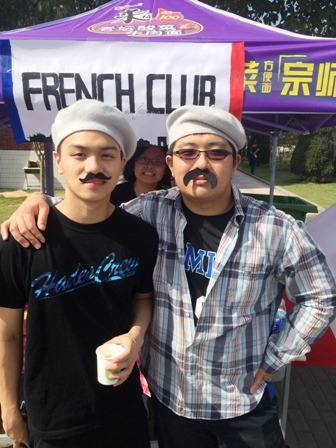 The high school French program at SMIC offers a four-year sequence of language instruction. The principal objective of the program is for students to acquire an proficiency in the four skills of listening, speaking, reading, and writing. The courses are also designed to increase students' understanding and appreciation of the diverse cultures of the French-speaking world. Bien dit! Series – This is a sequence of language instruction for the first three years of instruction in the SMIC French program. It introduces the basic grammar principles and builds on in subsequent years, including the present, past and immediate future tenses of regular and certain irregular verbs, as well as building many other grammatical aspects. Chapter units focus on thematic vocabulary in conjunction with instruction in grammar, oral skills and written proficiency. Each unit includes a cultural component emphasizing the grammar and vocabulary of the unit: "Géoculture" includes such topics as French customs, history, art, and literature. AP French Language and Culture – this course will provide students with three foundational modes of communication (interpersonal, interpretive and presentation). This college level equivalent course will provide students with opportunities to demonstrate their proficiency in each of these three modes. However, emphasis will not be set on grammatical accuracy but on communication. In order to facilitate the study of language, the course is conducted exclusively in French. This course engages students in an exploration of the French culture on both contemporary and historical sides using materials ranging from books, songs, and films, to laws, conventions, and institutions. 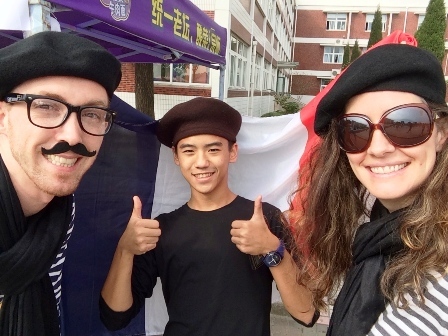 In order to deepen the students’ understanding of Francophone cultures and to gain experience with activities that prepare them for the AP French Language & Culture Exam, the class will experience appropriate local events such as art exhibitions, plays, concerts and our annual French gastronomic field trip.